This amazing beach is small and hidden (secret). Also only a narrow pass between rocks allow it to connect with the bue waters sea. 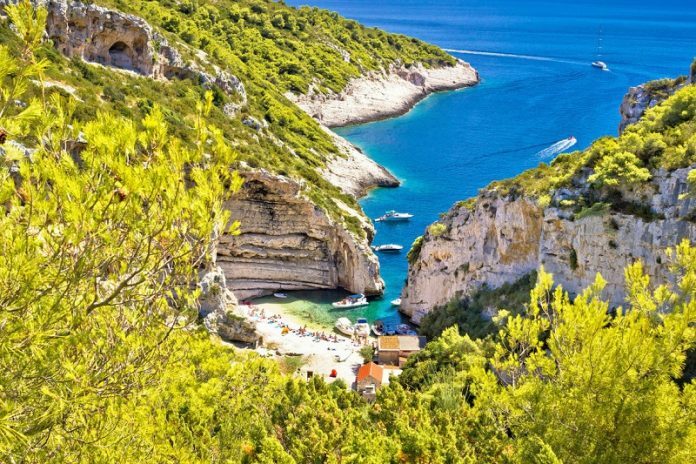 It’s has all the characteristic to be the perfect secret beach treasure of Croatia!